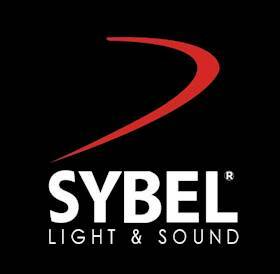 Based in Tunis, SYBEL Light & Sound has successfully established itself as a well-known brand in the light and sound market for over two decades. 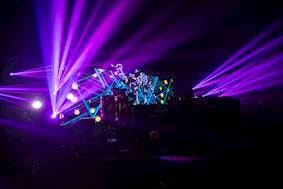 It provides clients with the best sound, light and video projection with high quality equipment from international brands. 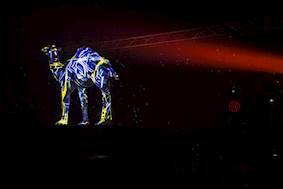 “The precision of the ZU510T projector contributed to a mesmerizing result that transported the audience into a magical moment. 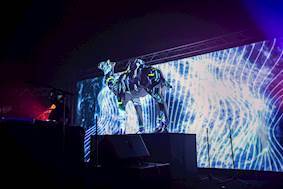 Visitors really enjoyed the installation at the event and we received a very good response." 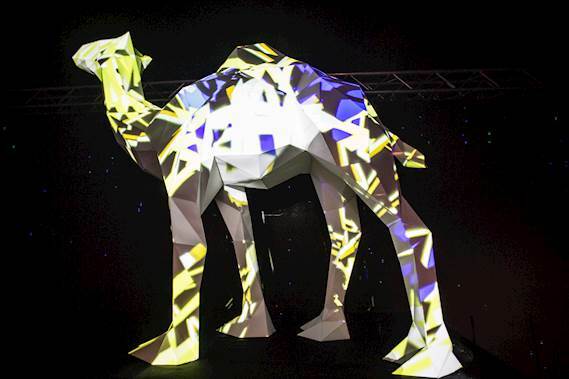 For the campaign launch of the new packaging for Camel cigarettes, event agency FP7, which is part of the world’s largest advertising network – McCann Worldgroup, wanted a video sequence projection mapped onto a life size model of camel. 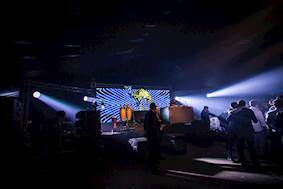 They brought in sound and lighting experts, SYBEL to oversee the projection that would synchronize to music from the live band Inspiration. 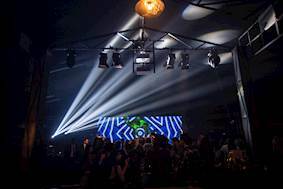 SYBEL Light & Sound opted for two ZU510T laser projectors from Optoma for their high brightness and ease of installation. 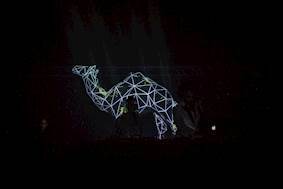 These were stacked and blended and projection mapped onto the camel using media server Modulo Pi. Weighing just 11kg, the ZU510T WUXGA projector boasts a brightness of 5,500 lumens. 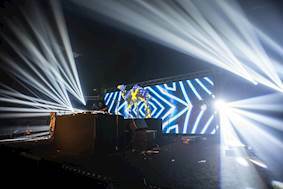 It has a 100,000:1 contrast ratio and, due to the combination of its solid state laser-phosphor light engine and DLP technology, produces exceptionally vivid colors. The projector has been independently tested and certified with an IP5X dust resistance rating and delivers up to 30,000 hours of reliable operation without the need for expensive lamp or filter replacements. A 1.8x zoom, vertical and horizontal lens shift, four corner adjustment and ability to be installed 360°, including portrait mode, provides huge flexibility in set up. And connectivity is extensive with HDBaseT included as standard, supplemented by two HDMI inputs on the rear and a further HDMI port at the front. The remote control has a backlit keypad for operation in dark environments, and can be hard-wired to the projector. This enables direct control of the projector without line-of-sight. 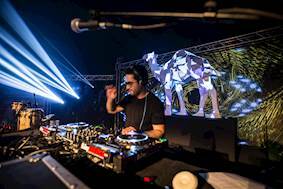 The event took take place at Golf de Carthage La Soukra near Tunis in Tunisia. 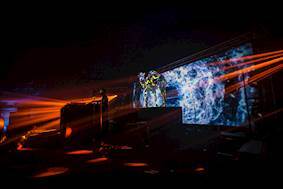 Farah Mestiri, Communication and Events Manager at SYBEL Light & Sound, said: “The precision of the ZU510T projector contributed to a mesmerizing result that transported the audience into a magical moment. Visitors really enjoyed the installation at the event and we received a very good response.